Installation is done in about 5 minutes using a USB flash drive. We've also built in a special restore option, so should the need ever arise the original Apple TV software can easily be reinstalled at any time. Is this different from aTV Flash (silver)? 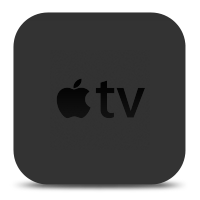 The original aTV Flash (silver) installs add-ons alongside the native Apple TV software, aTV Flash (xbmc edition) replaces the Apple TV software entirely. 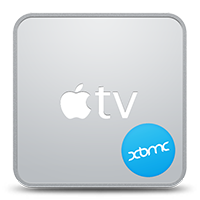 Each serves a different purpose, but if your main goal is to get XBMC on your Apple TV then aTV Flash (xbmc edition) is the one you want. Yes. By installing a special 1080p video card, the original Apple TV will be fully capable of playing most 1080p formats. 1080p video cards are available as an optional add-on when ordering. Note: Installing a 1080p video card replaces the standard Apple TV Wi-Fi card. A directly connected ethernet cable or USB Wi-Fi adapter (also available as an optional add-on) will be required for network access. Full details on everything that's included with aTV Flash (xbmc edition) can be found here. aTV Flash (black) 2.5 is here and with it comes the same great trakt sync that made its debut in Infuse 3 for iOS earlier this month. This all-new syncing method allows you to effortlessly keep your watched history in sync between devices. As an example, you can start watching a movie on your Apple TV, then finish it later on your iPad...Infuse will keep everything in sync automatically. Note: Syncing requires a free trakt.tv account. Naturally, we've also added in a handful of other minor improvements and fixes to keep everything running smoothly. As usual, updating can be done right on the Apple TV through the Maintenance > Manage Extras menu. If you need to re-install, links for the latest version can be found in your account under the Downloads tab.